When looking to hire a contractor for a large multi-unit project, it is extremely important that the contractors bidding be experienced in the type of painting you require. For example: If your project includes 35 duplex units, it is not recommended to hire a company who is only experienced painting single family residence. Vernazza Painting has over 25 years experience specializing in painting/re-painting large multi-plex units. We have the experience, man-power, and state-of-the-art equipment to make every project successful. Vernazza Painting has been providing commercial painting services to large and small enterprises for over 25 years. We have the experience and equipment to make every project successful. Painting a commercial building has unique requirements. We understand the impact that the project has on your customers and your business, and we go to great lengths to minimize this impact. Our workplaces are safe (our employees attend regular safety meetings), tidy and our workers are highly professional. 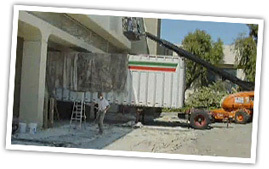 Our intent is to minimize the down time of your business by scheduling our crews for the least impact on your company. We use only high quality paints from some of the most well known companies in the business. When working on a new construction project, Vernazza Painting works with all sub-contractor schedules to make sure the project runs as smoothly as possible. 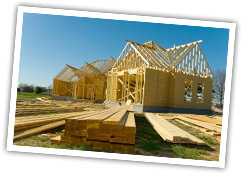 We understand the impact that sub-contractor’s schedules have on the overall construction project. We go to great lengths to minimize this impact. Our workplaces are safe (our employees attend regular safety meetings), tidy and our workers are highly professional. Vernazza Painting has been applying beautiful exterior and interior finishes to homes for 25 years. We have painted over 5,000 beautiful homes locally. We paint and waterproof all types of homes from detailed Victorians, Tudors, large estates and single to multi-story homes. In addition to house painting, we have completed many projects with local HOA’s, condominiums, apartment complexes townhomes and Property Management Companies. We pride ourselves on the quality and craftsmanship of our work. Customer service is truly our top priority. Our customers continue to return and refer us to their friends and family because we treat each job as if it was our own home. At Vernazza Painting, relationship-building means we go out of our way to work around your schedule. Vernazza Painting uses high quality products to extend the life of your paint job. We will use the “spray-on & back roll” method of painting (when practical/appropriate), along with time-proven methods of application. Special services we provide include drywall repair, texturing, and coordinating third party contractors (roofing, gutters, windows, construction, electrical, plumbing, remodels, termite inspections, home inspections, septic, landscaping, flooring, etc.). 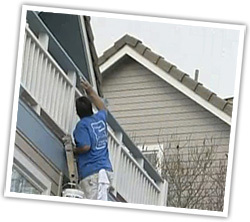 Painting is the final touch to your home – all repairs and construction should be done first. Vernazza Painting offers many GREEN Solutions for our customers. They never yellow or chalk! Clean up using water – No harsh solvents are required! We offer a whole range of wall and ceiling paints that are very low VOC, or ZERO VOC. One product in particular is Benjamin Moores- Aura Paint. It is zero VOC. Even the colorants used are water based! We also offer water-based primers and latex paints for exterior applications where applicable. Please check out our warranty and maintenance plan that comes standard with every job. 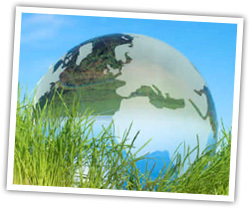 For more information on green solutions for your project, please contact us. © 2019, Vernazza Painting Company. All rights reserved. // Website design by Brooktown Design. Vernazza Painting Company is a licenced, bonded & fully insured painting contractor specializing in multi-plex, commercial, new construction, residential interior and exterior house painting including powerwashing, deck cleaning and staining. Clients are located throughout Santa Cruz, Monterey and Santa Clara Counties in the South San Francisco Bay Area including the cities and towns of Santa Cruz, Capitola, Scotts Valley, Watsonville, Soquel, Aptos, Felton, Ben Lomond, Boulder Creek, San Francisco, Saratoga, Los Gatos, Campbell, Los Altos Hills, Carmel, Monterey, Salinas, and Morgan Hill. San Jose CA House Painting Contractor.